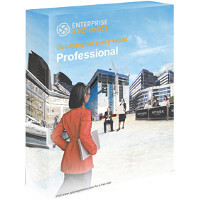 Whether you are a software development professional, business modeler, architect, requirements expert, project manager or simply involved in the design and construction of quality software and business services, this edition of Enterprise Architect has the features and built in tools to help you and your team deliver the best solution possible. - Comprehensive UML analysis and design tool. 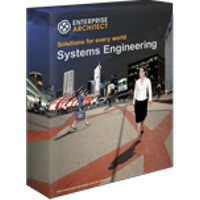 - Rich modeling for business, software and systems. - Full traceability from requirements to deployment. - Code engineering in over 10 languages. Includes all the features of the Desktop and Professional versions, with the added ability to use a variety of DBMS's for shared model repositories. Also includes role-based security, auditing and baseline merge tools for managing concurrent users. This edition is for larger teams that require fine-grained control in shared modeling environments. Comprehensive UML modeling tool for an individual analyst and/or developer. Supports all the professional features with the exception of code import/export and the ability to share projects. A fully featured UML modeling environment for workgroups, analysts and developers. 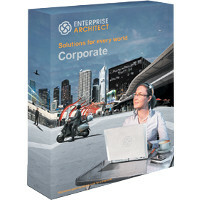 Includes support for multi user projects and code engineering (import/export/synchronization). 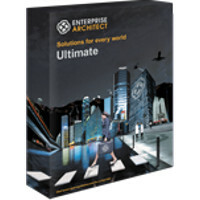 As a systems and software development professional working on real-time, embedded and systems solutions using UML, SysML, DDS and related technologies, this edition of Enterprise Architect has features and built in tools to help you and your team deliver the best solution possible. 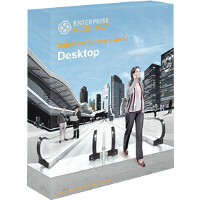 The complete Enterprise Architect experience across multiple domains!